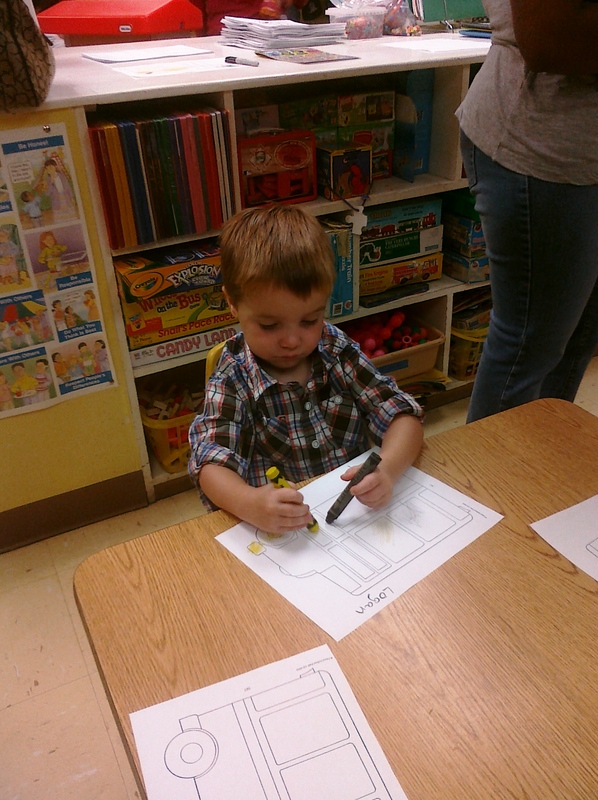 Logan had his preschool orientation today! I’m going to take it as a good sign that he didn’t want to leave…School starts tomorrow!! My girls have been in preschool for two years and they adore both their teachers and work. Their big sister started K this year… it all goes so fast! He is so cute. Hope he has a wonderful year. Thank you so much for playing along with Makes My Monday, Nancy!